KillerSupra.com is a Toyota Supra Performance parts website created and operated by OnTrack Motorsports LLC. OnTrack Motorsports LLC decided the best way to serve our Toyota Supra customers was to include all of our toyota supra performance parts, body kits and accessories in one location. We offer everything you need to customize your toyota supra the way you want it. 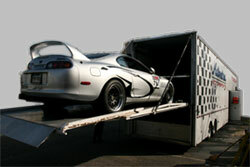 KillerSupra.com is the one stop Toyota Supra performance shop! Killersupra.com is a secure website so you can be assured that your information is safe and secure. 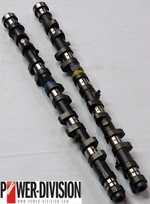 With a company like OnTrack Motorsports LLC behind all your Toyota Supra Performance Parts you can be sure your parts are in stock and ready to ship. All orders are shipped via Fedex Express or Ground Service so shipping time is easily cut down to get the Toyota Supra performance parts faster then any other shipping service. Killersupra.com / OnTrack Motorsports LLC can also handle installs and fabrication of your Supra. We are also privileged to have a Single Turbo Supra shop car so you can always ask questions regarding what parts we use and what parts we used in the past. What performance parts work well and ones found not to work well on the supra. If you your not finding what performance parts your looking for please feel free to email us at admin@killersupra.com regarding them.